← Beach to Beach, East Coast Walking . . .
August 17, 2015 Well, I leave for the Camino del Norte route of the Camino de Santiago in ten days. 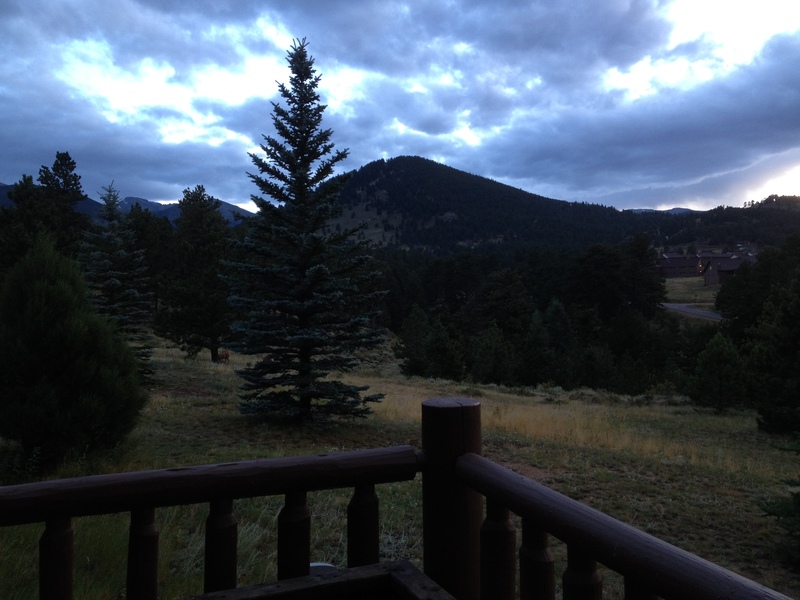 At the moment I am in Estes Park, Colorado at a Petrie Family Reunion for my partner Neil’s family, and will take a hike in the morning. Haven’t had much time at all for this, but there has been too much to do. But the Reunion location, the YMCA of the Rockies, is a stunning reminder that I will be on my way to other nature points very soon. I had to think for a bit but there really are some substantial differences. The obvious one is that I will walk the Camino del Norte this time rather than the Camino Frances (the path highlighted in the Martin Sheen/Emilio Estevez movie, The Way). A bit harder, a bit longer (550 miles as opposed to almost 500 miles), less well-supported and less populated. Another difference, which I’ve written about recently, is that I have not trained much at all for this walk. Perhaps I know I’ll be fine, perhaps I think the Camino WILL train me, and certainly I know that I accept how little time I have had to actually do the training. So be it. I also think about the difference in the way I gathered my equipment last time, for nearly a year before my departure, and what I’ve done this time. Two years ago as I accumulated gear, I put it in a big tub in the back of my closet . . . those storage tubs for dozens of sweaters as summer begins. A month before my departure, I carted everything down to my large table in the basement, spread the items out, and began to sort. This is a “must”. This is a “maybe”. This is a “probably not”. I added, reshuffled, returned things to REI and bought different ones, read the forums, printed out the gear lists of at least four seasoned pilgrims, agonized over whether I should buy this or that, take this or that, etc. Do I spray my sleeping bag for bed bugs or take my chances, avoiding poisoning myself with the permethrin? Do I take a poncho or a rain jacket and gaiters? How much soap, shampoo, etc. do I want? And endlessly, I reshuffled the piles on the table. Finally I took the “musts” and the “maybes” to my son’s bedroom and put the piles on the bed, packed them up, unpacked them, packed them again, and finally declared the backpack FULL. And it surely was full. I think I left home with a 35-pound pack. Ridiculous! When I returned from Spain in October 2013, I unpacked everything, washed my clothes, and put all the “stuff” in two drawers in my closet. Last month, all that equipment went into a big basket and again I loaded up my son’s bed. But I am not taking a headlamp, a camelback, a flashlight, a sleeping bag, a bigger camera, three pairs of pants (only two this time), my boots, my rain jacket and gaiters. I have added a poncho and a thermal sleep liner instead of the two sleep sheets I took last time. I feel calm, secure in the notion that what goes in the backpack this time is definitely what I will need. So I have just over a week until I depart. I will pack with confidence and reduce the weight from 35 pounds to 22 pounds, come hell or high water! 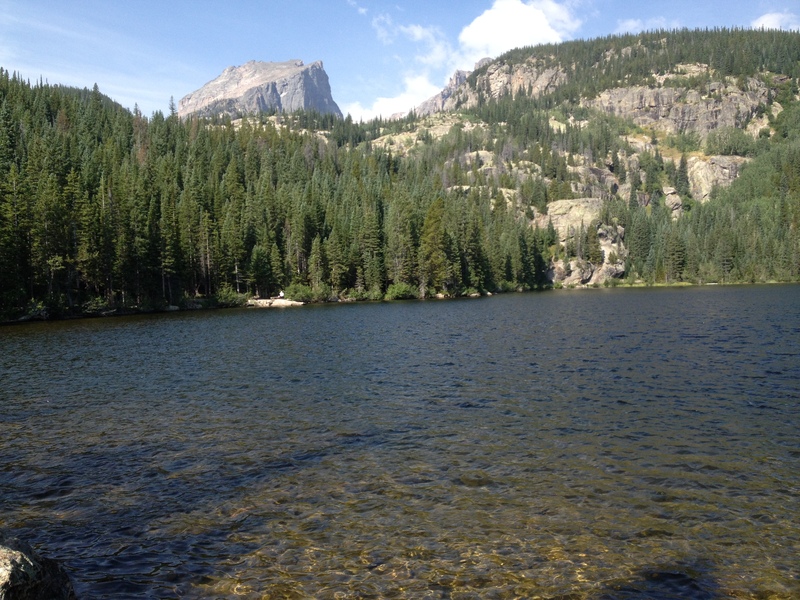 August 18, 2015 Today, sixteen of Neil’s relatives, including me, hiked for three hours in Rocky Mountain National Park. 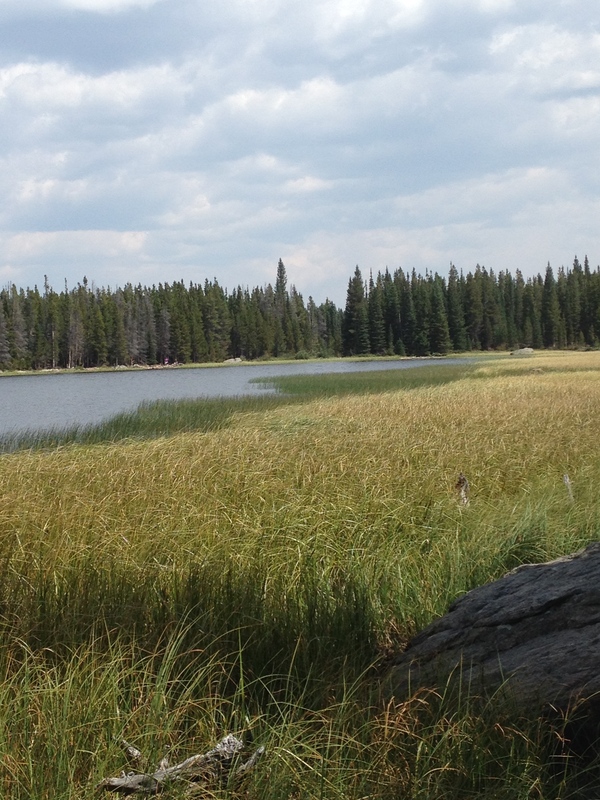 We went from Bear Lake to Bierstadt Lake and down a very switch-backy trail to the shuttle bus that took us to our car. A strenuous trek to begin with, but then the old breathing rhythm came back, the pacing with my hiking poles, the spectacular vistas from parts of the trail, and of course the woods I love so deeply. A great day. I’m more ready now! This entry was posted in Body readiness, Camino de Santiago, Colorado, Preparation, Women Walking and tagged Camino de Santiago, equipment, National Parks, walking, what's on the trail ahead of me. Bookmark the permalink. I’m excited for you for your upcoming Camino. Love the specifics on packing. I am following dear friend. Have the inspirational moments I think you look forward to. Know that I am keeping watch and want you to make it more than ever this time………..as last. Loved the packing and unpacking description. I think I watched you do this with your pack when we trekked just the mile or so in Cavendish almost two falls ago.